Different Body Types: What's Your Body Type? There are billions of people on earth, with many different body types. But, each of them - and even you - have characteristics of the 3 major body types. Check out the resources below to find out your individual body type. And what that means for you, and how you should exercise. Your somatotype is your body type according to the classification system or William Sheldon. Your body exhibits characteristics that fall into his 3 categories of ectomorph, mesomorph, and endomorph. Check out this article to discover which body type you are predominantly, and what this means for you. Also, learn just a bit about Sheldon's research that led him to this classification system. Ectomorphs are tall, thin, and have long limbs. Check out this article to learn more about the specific characteristics of the ectomorph body type. Mesomorphs are stronger than ectomorphs, but don't carry as much fat as endomorphs. Learn more about the mesomorph body type. Endomorphs are big boned, have wide waists, and put on fat easily. Check out this article to learn more about the characteristics of endomorphic people. While somatotypes aren't important, there are genetic factors that will influence your training. Check out this page to find out what those factors are, and how they influence your training. 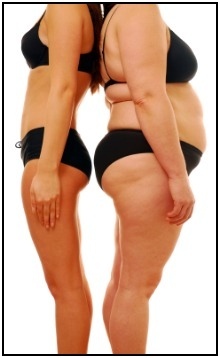 If you like this info about different body types then you'll enjoy my monthly E-Zine, Starting Strong. It keeps you updated about info added to Complete-Strength-Training.com, as well as bringing you select articles and tips. Sign up below! This information will help you develop your body into whatever you want. You can't change your genetics, but you can take them into account as you work to change your body. • Click here to leave 'Different Body Types: What's Your Body Type?' & go back to the Home-page!